This article was first published for FNArena subscribers on March 20 and is now open for general readership. The February bank reporting “season” brought us half-year results from Commonwealth Bank ((CBA)) and Bendigo & Adelaide Bank ((BEN)) and quarterly updates from ANZ Bank ((ANZ)), National Bank ((NAB)) and Westpac ((WBC)). Bank of Queensland ((BOQ)) reports next month but chose February to provide a (rather disturbing) profit warning. The reporting season did not necessarily provide any fundamentally new insights into the sector, Ord Minnett suggests, but it did underscore three key themes: (1) the retail banking environment remains challenging; (2) asset quality is mostly robust (low bad debt levels); and (3) capital management is a “live” issue (meaning uncertain, for reasons we will discuss). FNArena last updated on Australian banks in December, post the November results season (Australian Banks: Uncertain Times). The greatest uncertainty hanging over the sector in December was the pending release of the Royal Commission recommendations. The good news, for bank shareholders, is that a wide range of speculated negative outcomes was averted. The recommendations, delivered in January, added up to something far more benign than feared. Investors had priced in such fear by December, which also coincided with a swift overall market correction. The scene was set for a sustained re-rating of the sector and market outperformance. And yes, Day One produced a big rally for bank shares. But three months on, the sector is yet to see a broad “buy-in”, Citi notes, or outperformance relative to the broader market, which has enjoyed a general recovery from December’s depths. Evidence suggests investors simply bought in to dividend handouts from ANZ and CBA while showing little interest in the others. The reason, Citi believes, is a shift in market focus to deteriorating short term fundamentals, being competitive pressures and decelerating mortgage growth. Between stricter regulatory scrutiny and a falling housing market, the banks appear caught between the devil and the deep blue sea. CBA has put forward the view that the slowdown in mortgage credit growth is due to “demand-side” factors rather than tightening credit conditions, suggesting falling house prices are keeping buyers on the sidelines rather than the fact it’s a lot harder now to be approved for a loan. Ord Minnett views the slowdown as a combination of both, and one struggles to understand how it could not be. Data showed that in January, mortgage credit growth across the Australian banking system slowed to 3.2% on a three-month rolling average which, Macquarie notes, is the lowest rate of growth since the early nineties, when the Australian economy was last in recession. Business credit growth also moderated to around 4% from around 8% only four months prior. Macquarie expects housing credit growth to continue to slow to 2.1% by the end of 2019, bottoming out at 1.5% in 2020. With falling house prices fuelling weaker consumer confidence, Macquarie believes business credit is also set to continue softening. Credit Suisse acknowledges that the monthly trend suggests a synchronised slowing of both housing and business lending and unless there is a pick-up, the broker will need to downgrade bank earnings forecasts. A pick-up would “appear challenging” in an election year, Credit Suisse admits. Morgan Stanley holds a similar view, forecasting housing loan growth for the major banks to fall to 2.2% in FY19 and 2.0% in FY20 but warning risk to those numbers is to the downside given scrutiny around responsible lending, increasing competition and slowing demand. The broker expects the majors to continue to lose market share. Morgan Stanley suggests that while the tightening of credit conditions remains broad-based, borrower demand is yet to fully adjust to pressure on household cash flows, lower house price expectations and potential tax changes under a new government. Long before the Hayne Royal Commission, the RBA was becoming more and more concerned over Australia’s housing bubble, leading APRA to enter into a phase of greater lending restrictions. Specific targets were lending to investors and interest-only loans. While Morgan Stanley believes the impact of APRA tightening has now largely played out, post-RC there is a new constraint in the form of banks’ willingness to lend from an increased focus on responsible lending obligations. This is yet to play out. Investor loan growth across the system has slowed to less than 1% year on year, down from 10% in 2015. For the majors, investor loan growth has turned negative. This flows into weaker bank margins, Morgan Stanley notes, given investor loans are priced at a premium over owner-occupier loans. ANZ Bank has to date seen the biggest decline, with investor loans down -6% in the first half of FY19. As noted, APRA moved in on investor loans when the housing bubble was in full swing, giving the majors a rare opportunity to “reprice” (increase the rate on loans independently of an RBA cash rate increase) investor loans without as much as a murmur from politicians and enjoy, briefly, better margins. The flipside was falling demand, which presently is falling further now house prices are falling. Chicken and egg. APRA then moved onto interest-only (IO) loans, which were particularly popular with investors in a rising housing market. A clamp-down on IO loans meant more borrowers were forced into conventional principle & interest (P&I) loans. Banks collect a higher premium on investor loans compared to owner-occupier loans, and a larger premium on IO loans than P&I loans, meaning two hits to bank margins. Morgan Stanley believes that in response to the clamp-down, some 60% of IO loans expiring in 2018 were converted by the banks to P&I loans, and a further 10% were converted voluntarily by borrowers. There is another 25% of IOs due to expire in the next two years. Having sorted out the level of investor loans in bank loan books, and the level of IO loans, APRA next turned its attention to what it considered to be “very high” debt to income ratios among borrowers, setting a threshold of 6x debt to income. Morgan Stanley surveyed 1800 mortgage holders last year and found 23% had DTI ratios in excess of 6x. The survey also found that 38% of respondents whose most recent loan was for an investment property had DTIs of more than 6x. This suggests to the broker lending to investors has further to fall. If we add together higher interest rates for investor loans, lower availability of interest-only loans and limits on lending at DTIs in excess of 6x to falling house prices, potential changes to negative gearing and capital gains tax from a new government, and more detailed verification of borrowers’ income and expenses now required by lenders, then there can only be downside risk to investor loan growth that is already negative, Morgan Stanley suggest. While all of the above implies further pressure on bank margins, the good news is the BBSW-OIS spread has fallen below 40 basis points for the first time in a year. The spread between the Australian bank bill swap rate and the international overnight indexed swap rate determines, in simple terms, what sort of interest rate Australian banks have to offer in the international market to fund their lending books. But to make it simpler still, let’s just consider that the US ten-year Treasury yield is as good as a proxy for the gobbledygook above. We recall that the majors were able to “reprice” their mortgage books without criticism thanks to APRA tightening when the housing bubble was in full swing. Late last year the banks again had an excuse to reprice, given rising funding costs. As the Fed continued to hike rates, and tout further hikes ahead, the US ten-year yield ran from 2.80% in August to 3.25% in November. And it was 3.25% with a bullet. All and sundry were convinced this was the start of the long-awaited bear market for bonds. But suddenly it became apparent the “synchronised global growth” story of 2017 had turned sour in 2018. The US ten-year yield is now back at 2.60%, a level last seen in January 2018. So the cost of borrowing for Australian banks has now come back down. That’s the good news. The bad news is the majors largely locked in their first half FY19 borrowing requirements at the elevated rates at the time, Macquarie notes. And as to whether subsequent weakness in rates will persist is also a matter of debate. But wait. The synchronised global growth of 2017 has now given way to synchronised global slowing in 2019, except, arguably, in the US, although the Fed is now on a “pause” just in case. In Australia, the signs are not good. GDP growth is slowing and the housing market crunch is threatening to impact on growth even further. It is to this end economists now believe the next move for the RBA cash rate is down. And when the RBA cuts rates, traditionally the banks use the opportunity to keep some of that benefit for themselves. Yes, it used to be called “the rate that stops a nation”, up until the rate itself stopped dead. When the RBA was cutting its cash rate on the way to 1.5% in 25 basis point increments, typically the banks “passed on” less than 25bps into lower mortgage rates, providing politicians with the opportunity to scream bloody blue murder. If the RBA is indeed set to cut its cash rate yet again, then the banks will be gifted an opportunity to combat falling loan demand with mortgage book repricing. Banks’ ability to reprice mortgages has provided a material backdrop for their margins and earning sustainability over the past decade, Macquarie notes. But given competition for mortgages has intensified in the post-RC world, the gap between front book and back book pricing has blown out. The broker estimates the cost of a new mortgage (front book) is (as at last week) in the range of 4.06-4.18%, while existing mortgages (back book) are still on 4.49-4.75%. The overall loan book will “churn” from back book to front book, as mature mortgages roll off the back and new mortgages come in the front, and on the current pricing gap this implies gradual downward pressure on margins. The broker expects net interest margins to contract by 2 to 5 basis points per half, which seems trivial, except when Macquarie converts that into a -10-27% downside risk for bank earnings. Retail-overweight banks (CBA and Westpac) and the regionals will suffer the greater impact. But were the RBA to cut eventually, as is now the expectation, the banks have the opportunity to reprice all variable mortgages and counter earnings downside risk. “In the current challenging political and regulatory climate,” says Macquarie, “we see diminished scope for banks to reprice mortgages”. Indeed. Politicians have long ranted and raved every time the banks have failed to fully pass on an RBA rate cut, basically because it goes over well with focus groups, with no intention of doing anything other than threatening to do something about it. Realistically, there wasn’t a lot they could do. But that was before the Royal Commission. Not only are the banks treading very lightly in a post-RC world, politicians on both sides are emboldened by the newfound power shock RC revelations have provided them. Hence Macquarie believes a failure to pass on an RBA cut would be akin to poking a politician with a stick, and that may not end well. For example, Macquarie points to the front book-back book pricing gap outlined above. Increasingly over recent years, the practice of offering cheaper prices to new customers while not offering the same deal to existing customers has been a tactic used by everyone from health insurers to electricity providers. Admittedly, an existing customer can kick up enough fuss and be given the same discount as a result, but few customers bother to go to this length. Yet the growing trend has caught the attention of successive governments, such that this so-called “loyalty tax” on existing customers has become a political issue. Take the energy market as an example, which the current government has attempted to overhaul at the consumer level. Government regulation of mortgage pricing is a complicated issue with potential unintended consequences, Macquarie suggests, which is likely why politicians have done nothing in the past. But now that the boot is on the other foot, as it were, Macquarie believes there is a risk the government (whoever that is in the months ahead) may look to follow precedents set in other industries and introduce pricing caps for bank back books relative to front books. “Banks are entering a delicate balancing act,” says Macquarie, “between maximising returns [while] potentially risking additional regulation”. In other words, fail to pass on an RBA cut at your own risk. However, analysts at Morgans come at the argument from a different direction. Typically when the RBA cuts, a bank responds by lowering deposit rates alongside mortgage rates in order to at least retain their net interest margins. But Morgans has identified a recent trend. Money is flowing out of bank savings accounts, which offer paltry rates in an environment of historically low cash rates, and into mortgage offset accounts, which offer customers a better net outcome. To that end, were the banks to further lower their deposit rates, in line with an RBA rate cut, this trend would no doubt continue at the banks’ expense. Thus Morgans sees limited scope for banks to further lower deposit rates. It thus follows that in order to retain what’s left of their net interest margins, banks have limited scope to pass on an RBA rate cut to borrowers. So here we are again, between the devil and the deep blue sea. Is an RBA cut a given? From the minutes of the RBA’s March policy meeting, released this week: “members noted that significant uncertainties around the forecasts remained, with scenarios where an increase in the cash rate would be appropriate at some point and other scenarios where a decrease in the cash rate would be appropriate. The probabilities around these scenarios were more evenly balanced than they had been over the preceding year”. The RBA has shifted from “the next move is likely up” for rates to “more evenly balanced”. Even while the RBA persisted with its hawkish view, economists had begun to first withdraw their own rate hike expectations, and then call the next move down. A trickle has since become a flood, such that economist views now (mostly) diverge only on whether there will be one more rate cut or two. But as is often noted, central bank interest rate policy is a blunt instrument. And the question is, as the current house price slide looks set to become the worst on record, would the day actually be saved if the cash rate were 1.25% instead of 1.50%? “We expect the RBA to closely examine the effectiveness of monetary policy transmission mechanisms,” says Morgans, “before deciding to cut”. The broker cites two problems, one being as to whether a 1.25% cash rate would meaningfully stimulate housing credit growth, and the other being as to whether banks would pass on the cut into mortgage rates anyway. A better first option for the RBA, suggests Morgans, rather than yet another rate cut, would be to convince APRA to reduce the “serviceability assessment interest rate floor”. A “serviceability assessment” is what a bank does in determining whether or not to lend, based on a prospective borrower’s debt to income situation. In other words, can this guy make his mortgage payments? If he’s after a standard variable loan, the bank has to consider not just his serviceability right now but how he would fare were SVR rates to rise. To that end, the banks then add on another 2-3% assumption to the prevailing rate in reaching a serviceability assessment. APRA now regulates such assessments, and the regulator’s current interest rate floor is 7%, which means if the bank is offering an SVR of 4%, a borrower must satisfy a serviceability assessment assuming an SVR of 7%. Were the RBA to cut, and APRA’s floor rate remained unchanged, the impact of that cut in terms of mortgage growth would be limited, and that’s assuming the banks actually pass on the cut. 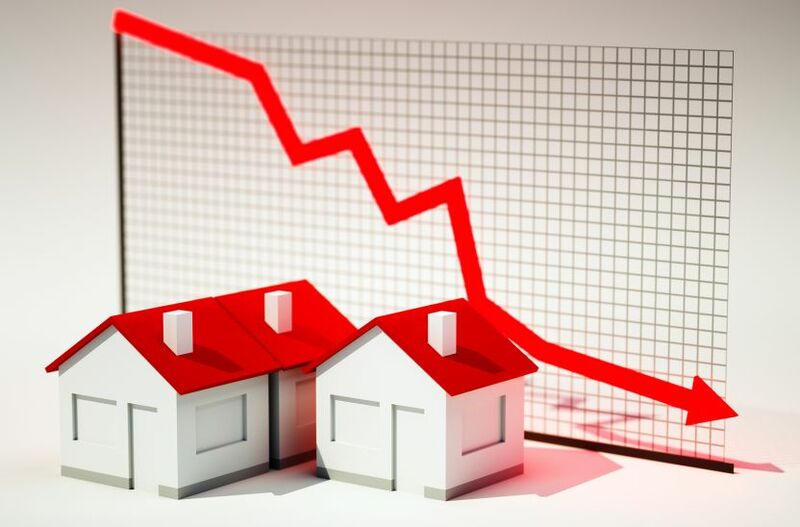 Were APRA to cut the floor rate, rather than the RBA cutting the (entire economy-impacting) cash rate, this would represent a targeted strike on that area of the economy in trouble – housing. As we know, the GFC resulted in the implementation of various “unconventional tools” being used by central banks beyond simple rate cuts, especially when rates were already zero. QE is the obvious example. The point is, a central bank has other measures it can consider than just a blunt cash rate cut. And were APRA to lower the serviceability assessment interest rate floor, it would never make the news, politicians would thus see no reason to get involved, the banks would not have to make a difficult decision about “passing on”, and a mortgage would be easier to get than it is now, providing stimulus for housing credit growth. The bad news is the credit growth outlook in Australia is very subdued, the good news is the level of bad and doubtful debts (BDD) within bank loan books is at historical lows, and has been for some time. While falling house prices suggest a risk BDDs will begin to increase, low unemployment is providing a counter. The low level of BDDs leads to more good news. When APRA finally decided upon an “unquestionably strong” bank capital requirement of 10.5% there was much relief, as a higher number was feared. The banks had already been building their balance sheets in anticipation, and have for the most part already exceeded this 2020 deadline level. So the banks aren’t deploying much capital for loans, they don’t need to carry large provisions for BDDs, and they’re sitting on comfortable capital positions. All this adds up to the potential for “capital management”, meaning returns to shareholders. That is there was such a potential, until the Reserve Bank of New Zealand threw a spanner in the works. Within the New Zealand banking system, 88% is controlled by foreign banks. Four foreign banks to be precise. Yes, them. If you think the Big Four represent an oligopoly in Australia, it’s nothing compared to our neighbours, and Deutsche Bank notes it is yet to find another banking structure like it. The Kiwi oligopoly provides the Big Four Aussies with returns on equity of some 15%, and around 65% of earnings finds its way back across The Ditch. If more onerous regulation is implemented in such a market structure, it is the incumbents who tend to benefit, Deutsche notes, at the expense of the competition. But not this time. Not when the RBNZ is preparing to set its own “unquestionably strong” bank capital requirements. The RBNZ is contemplating a rate of 14.5%, compared to APRA’s 10.5%. Suddenly the prospect of capital management for Australian bank shareholders is up in the air. While a figure of 14.5% may look like overkill, Deutsche Bank suggests that given the uniqueness of the NZ banking structure, it’s actually quite a sensible number. The RBNZ proposal would strip some $16bn out of Australian tier one bank capital over the next five years, CLSA calculates. Suddenly those comfortable balance sheets will not be comfortable after all. Given the RBNZ requirement would leave Australian banks short on their APRA requirement, responses may include cutting dividend payouts, issuing new shares into NZ subsidiaries or reducing lending, the broker suggests. Or, the Aussies could simply divest of their NZ subsidiaries, a move CLSA believes “would be well received in New Zealand”. Macquarie sums up consensus in noting the RBNZ is now providing a new level of uncertainty, which will likely see banks treading carefully on capital management, and regulatory outlook at home continues to be challenging, particularly in the lead-up to federal election which, among other issues, will be fought on which side is prepared to be toughest on the banks. Competitive pressures, falling property prices and regulatory challenges are putting pressure on bank earnings. But it’s all in the price, Macquarie suggests. Indeed, so underweight are investors positioned in the sector, any good news could spark a re-rating. But Macquarie continues to see risk to the downside. In a subdued revenue environment, cost-outs and capital management opportunities are the main drivers of bank valuations going forward. However the RBNZ has put the kybosh on shareholder returns for now, and the upcoming federal election in a post-RC world offers up all sorts of risks, including elevated remediation charges for unearthed transgressions. Nor does Macquarie see scope for mortgage repricing, were the RBA to cut. Still, the banks are yielding around 6-7% and trading at around a -33% discount to market relative to a -24% five-year average, but given the prevailing headwinds, the broker finds it difficult to be more “constructive” until conditions improve. “With sentiment factors exhibiting a mixed picture, the potential deferral of capital returns in light of the RBNZ, as well as a deceleration of retail bank profitability, broad-based outperformance for the bank sector looks difficult”. Back in December, as the following table from that time indicates, the eight brokers in the FNArena database collectively held 15 Buy or equivalent ratings across the four banks, 13 Holds and only 4 Sells. This without yet knowing what the Hayne Report might bring. Fast forward to today, and as the following current table shows (based on yesterday’s closing prices), the collective Buy count has dropped to only 9, Holds have ticked up to 15 and Sells have jumped to 8. Evenly balanced. To save you doing the maths, the sum of share prices at the time of the prior table was $147.43 and today it is $149.00, not a vast difference (note that the last table is from December 5, at which point the market had not yet substantially tanked), but the average upside to target has fallen from 7.75% in December to only 2.53% today. We can also note that in terms of ratings, NAB has snuck back over ANZ as most preferred (by consensus – no bank has avoided at least one Sell rating) and CBA has moved into equal third with Westpac rather than a familiar fourth, although a share price in excess of target is a more familiar outcome.